Have you ever made a discreet visit to the doctor without telling your family? The diagnosis of a family member with certain conditions could imply risks to your health. But it’s their right to withhold the information from you. Where are the lines drawn on the contentious issue of genetic privacy? You wouldn’t tell everyone you know every time you visit the doctor. But when it becomes more serious do you have a responsibility to share personal medical information? And conversely, do you have a right to access the medical history of your ancestors? Genetic privacy comes into play in the management and distribution of private medical information. This information is tugged in two directions by conflicting interests: one, the interest of the patient whose diagnosis should be kept confidential (patient/doctor confidentiality) and two, the interest of the potential patient (a family member) who could be taking preventative measures in view of the first patient’s diagnosis. Many medical conditions are hereditary, and there are preventative measures that relatives are often advised to take. But can a doctor break the patient confidentiality bond? The Department of Health takes a firm stance on patient privacy. Medical professionals will always put the patient first, respecting their right to privacy. If you wish to keep your condition secret from family members, you have every right to do so. If you don’t want your medical information used for healthcare research, or even passed on to other professionals, your wishes will be respected. It is proportionate to the need. The British Medical Journal has debated the question of patient privacy. Taking the example of a young man who, diagnosed with a genetic disease, decided not to tell his two siblings, the Journal asked whether a doctor’s responsibility to the patient should always comes first. 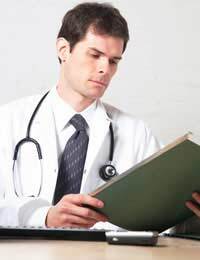 The doctor has three options: to remain silent, respecting his patient’s privacy; to try to persuade the patient to disclose his diagnosis; or to inform the family members. Under the Data Protection Act, health professional should always opt for the first choice. But is this the most ethical decision? There are certainly grounds for reassessment of the Data Protection Act, which the BMJ supposes will come under review in the next few years – particularly as genetic testing becomes the norm. The American Society of Human Genetics already recommends that doctors should be permitted to pass on genetic information to family members where a patient refuses to do so. Your employer has a right to ask for genetic medical information about you, but the Data Protection Act insists that (s)he has a reason for doing so. Any medical information, including hereditary and long-term conditions, must be stored in a separate place and not made available. Insurers, too, will ask intimate questions about your medical history. They’re bound by the same rules and must not use your information except for research purposes (to improve their own services). In the US, developments are underway to change these privacy invasions. A law to protect genetic privacy is being considered in the House of Representatives. Under the new law insurers and employers would have no right to deny you insurance or employment because of your genetic history. This would mean you wouldn’t be charged more for a family history of cancer – effectively banning genetic discrimination. You can read more about genetic privacy in Graeme Lawrie’s book “Genetic Privacy: a challenge to medico-legal norms”. The Department of Health’s Code of Practice is available to view online. Why Is Doctor-Patient Confidentiality So Important? So my notes show that one of my specialists took my dna and tested at a centre of their choice without my consent. They then wrote to my gp to say that I had attended the hospital (Addenbrookes) where the testing was done so I must have consented. That hospital is hundreds of miles away from me and I've never been there. it just sohappens that my then specialist's joint head of medicine happened yo have previously been senior at Addenbrookes. To compound matters the result of the dna test was presented in a logically incorrect manner to support my specialists teams wrong diagnosis of my condition (the condition resulted in me having to have an organ transplant!) Why does society let these abuses happen and what does it say of what has happened to our onceexcellent NHS. I've no interest in sueing or having doctors medical licences taken away. the argument of doing so to protect other patients is ridiculous since the docs at my specialists hospital know whats going on but do nothing about it. Question ? Is c3.26/476 b1 a viral code . And is a z20 an icd 10 code Question?